More people use WordPress for their blogs and websites than any other individual service or content management system in the world. Its flexibility and word-of-mouth popularity have helped it surpass its original intent as a blogging platform, making it the most valuable CMS on balance in the world. 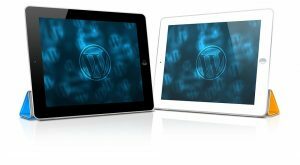 Practically anything you can imagine doing with your website can be handled via one WordPress plugin or another. Every now and then, you may find yourself needing to perform a website migration, which can be a real pain. We’ll discuss a few WordPress plugins that can be very helpful in different parts of the process. Website migration can be a sticky, time-consuming task when handled piece by piece. In some cases such is necessary, but many websites can be migrated with just a straightforward approach. Enter WP Migrate DB, which is a very useful plugin designed to help migrate your WordPress website in just one click. Instead of dealing with SQL databases and pinging servers manually, this plugin does all of the work for you. WP Migrate DB is very useful for developers and those in the business of website assistance, but is also great for personal use as well. Licenses for the plugin start at just $90 for 12 installs, but there are other packages for more advanced developers and firms that need to juggle dozens or hundreds of migrations. Building your website from scratch for a different purpose – sometimes referred to as “cloning” – isn’t any fun. There are many different reasons why you might need multiple websites derived from the same design and content, and unfortunately, there is a plugin for that. The Duplicator plugin for WordPress allows you to duplicate, clone, backup and even move your website to a different location with no hassle whatsoever. Not only can this plugin be useful in duplicating your website, but it’s a great tool to have for backing up your website periodically. The basic version is currently available for free, so download it now! Designed exclusively for preserving your website in its current state, the BackupBuddy plugin features a variety of benefits that the other plugins on our list don’t provide. With remote and desktop-based backup solutions available, you can rest assured knowing that your content is safe and sound in case malware, brute force attempts or any other glitches happen. Want to make sure your website is always backed up? The schedule features in BackupBuddy can be programmed to always be pinging your servers and updating backups on a regular basis, whether that be weekly, monthly or daily. For bloggers, BackupBuddy can be purchased right now for just $80. Those who need to ensure backups are available for multiple sites may be interested in the freelancer and developer editions, which are $100 and $150, respectively. Everybody has horror stories and fears when it comes to website management or migration. Let us know what your worst-case scenarios are in the comments below! Use Safari? Download the Pingler Safari Plugin!